Being an “outer caterer” has so many advantages and none more so than all the exciting and unique venues we get to see. 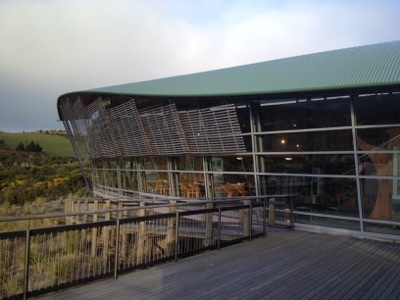 We have served in the middle of farm paddocks with elegant marquees, the Tropical Rain Forest at the Otago Museum, to the chic and stylish Dunedin Public Art Gallery. We have catered in some very unusual places; places we never imagined could fit 100 people, places that have a special meaning to people, rugby / race / golf clubs and already established buildings (that don’t leak), as far a field as Wanaka and this is only to name a very few. We have ventured up sand dunes to serve champagne and canapes, gone bush with BBQ tucker, and served 100’s in beautiful fully set surrounding … From our experience in the out-catering business we are more than qualified in assisting people in finding their gorgeous location and also advising on what would be the best menus and the requirements for the location. For Weddings, Anniversaries and Special Occasions. Two acres of established gardens, including ponds, water features and many rustic features overlook the Taieri Plains. 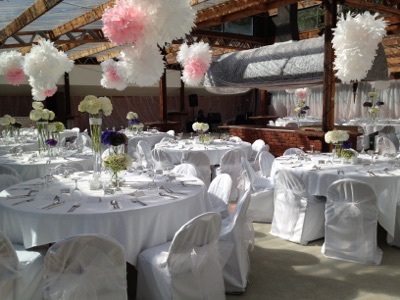 Fantastic venue for the total Wedding package – Idyllic gardens for your ceremony,amazing photo opportunities and a venue for your reception; no need for your guests to go from here to there, Grandview Gardens can cater to it all. The indoor venue seats 100 guests. Images of Grandview Gardens are available in the gallery. The grand old Corstorphine House is again open for Wedding bookings, thanks to Paul and Alla the beautiful idyllic gardens and conservatory can now be booked for your special day. The indoor venue seats 90 guests. Another one of our favourite venues (and not only because it has a kitchen), the Winning Post lounge is a great sized room and we have catered many different events here …. from weddings to corporate trade shows and birthday luncheons. 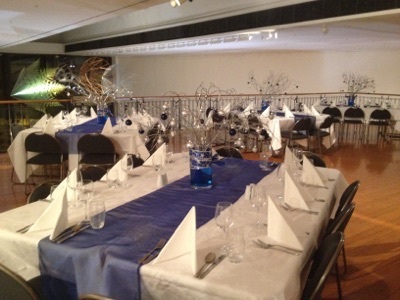 The Dunedin Public Art Gallery is one of Dunedin’s most sophisticated events venues. 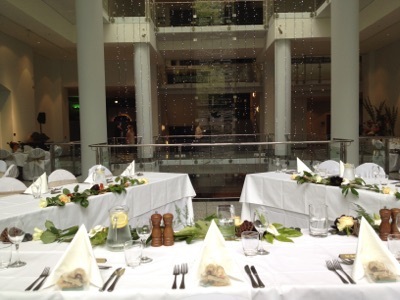 They have a selection of spaces for hire and one of them is bound to be just right for your event. Launch that new initiative, hold your conference or client presentation, celebrate your wedding, stage a fashion parade, host an elegant cocktail party or dinner – all in sparkling, stylish surroundings, located in the heart of the city close to restaurants, cafes and all major hotels. Looking for something slightly different for your next function? 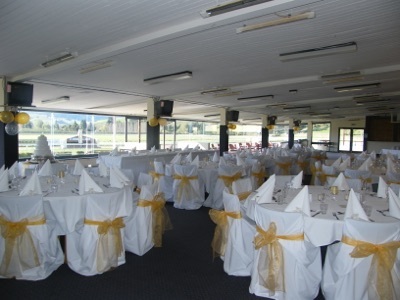 Otago Cricket’s unique Longroom at the picturesque University Oval is the perfect Dunedin venue for your next special occasion. 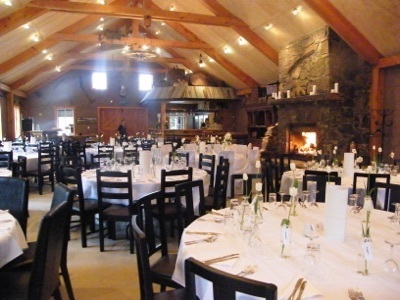 The Longroom is a modern, versatile facility ideal for a large variety of functions. Whether it be a small meeting around the board table or a larger theatre style conference the Longroom can cater for you. The Longroom Bar means that functions don’t have to be all work and no play. 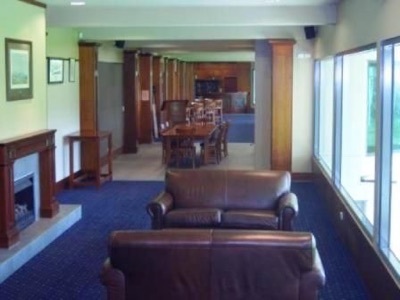 Displays including the Iain Gallaway Library and Cricket memorabilia make the Longroom ideal for the social side of your function. Complimentary tours of New Zealand’s latest test cricket venue with Otago Cricket staff are available as a point of difference for your function. For more information on rates, to view facilities or to make a booking please do not hesitate to contact Otago Cricket (details below), or contact us. 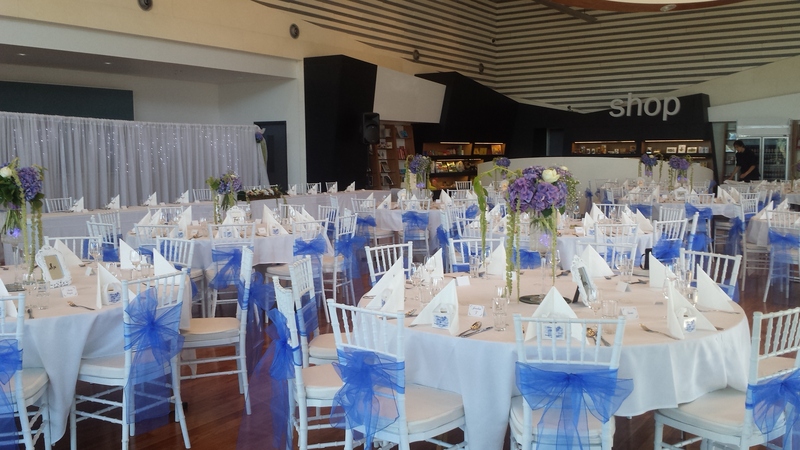 Are you looking for a venue for your next function, meeting or conference? 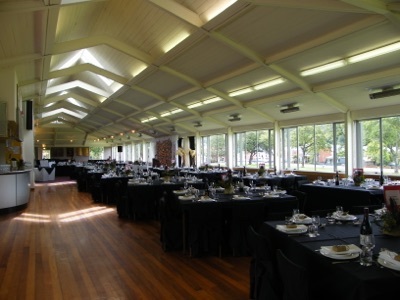 The Otago Museum’s purpose built theatres, meeting rooms and public spaces make this an outstanding and unique venue for any social or business gathering. Thinking about hosting a wedding? Find out more here. Browse through our Photo Gallery to see our venues and obtain detailed information about each of them. 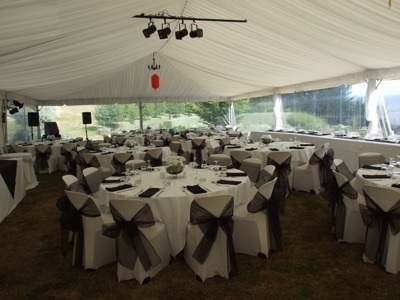 You find the field to put the marquee and we’ll bring the food … we have catered so many beautiful weddings in marquees but each and every one has always been a different to the last. Just get pass the fact that it is a rugby club and I guarantee there are some rugby clubs around dunedin that would suit any wedding … we have catered at the “Grizzles” patch (green island) and the “AU broncos” (ahlambra union) and it has been amazing to see the transformations these club rooms take on for weddings but they are also great for any other event you can think of and most have great parking also … obviously they are a bit hesitant in hiring the venue on a saturday night in rugby season but that means that in the typical wedding season there is no rugby!! !